Imogen's Typewriter. 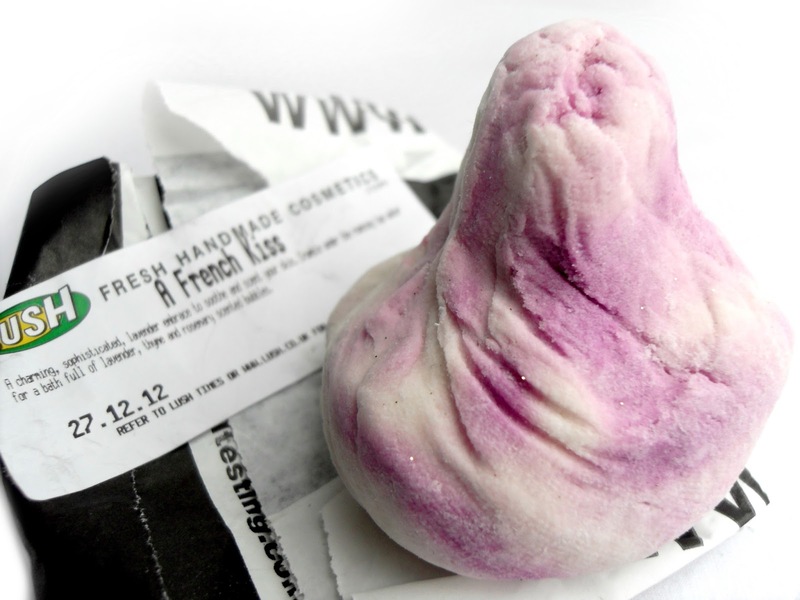 : Review: Lush's French Kiss Bubble Bar. I'm a big Lush fan but this French Kiss Bubble Bar, with it's delightfully strong Lavender scent and gentle bubbles really blew it out of the park for me for three very good reasons. And only one unfortunate downside. First, the strength of the scent. I don't know about you but I like to be able to really smell what I've put in my bath and this is where the French Kiss Bubble Bar excelled, I had been using one for around six months (I know, not the best) to make my teeshirts smell nice in my chest of drawers and when I finally used it, it smelled the same as the one I used the day I bought it. The ingredients. With Coconut oil, Rosmary oil, Thyme oil and, of course, Lavender oil, this was a really nourishing bath for my dry skin without being obvious like the bath melts from Lush. The oil mixed with the water and just left me feeling silky smooth and smelling lovely. And the negative? The price. For the size of this and the way it's shaped, I can only get two baths out of it and considering it comes in at a rather unreasonable £4.25, I just wish it was bigger or the price was smaller. I understand the price a little because of the ingredients but I can only justify this on special occasions where I need a really good relaxing bath before bed. Like the day before exams. If this sounds like your kind of bath product or you just want to give it a try for yourself, you can get it from Lush's website here. Have you ever tried French Kiss? What did you think? Sounds like a super lovely bathtime indulgence! I love lavender scents and bubble baths are just so fun so I'll be checking this out one. Though I agree, wish Lush were less pricey - they do really good sales though after Christmas.